Shant & Sylva chose this stunning Carlson Craft Pocket Style Wedding Invitation from Hyegraph for their July 2013 Wedding taking place in San Francisco, California. 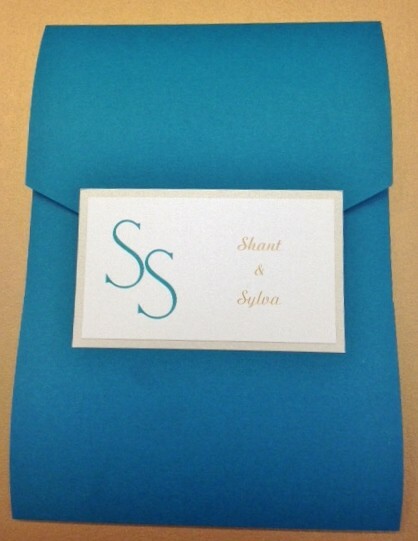 We customized the invitation tab with the couple’s initials and names in “marina” and “gold” ink. The couple chose a stunning “marina” colored jacket for their invitations and detailed the invite with matching marina and complementary “ecru” and “gold” colors. This attractive pocket invitation suite also comes in an Armenian invitation insert printed in gold ink with Armenian fonts. 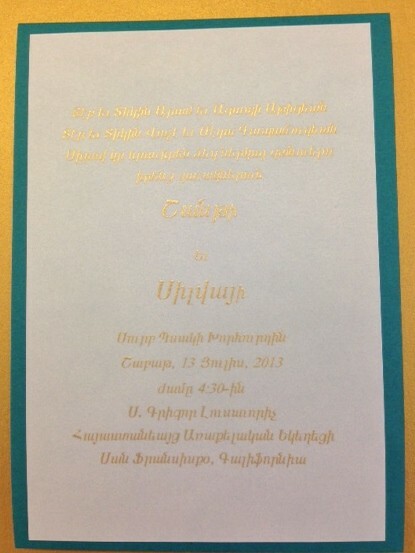 In addition to the English & Armenian invitation there are also three inserts including the Information Card: stating the couple’s website; the Celebration Card: asking the guests to join them at the Reception Site; and an Rrsvp Card; asking guests to reply to the invitation. 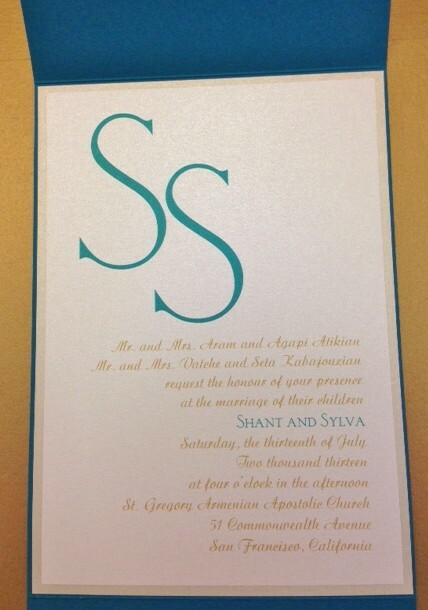 Shant & Sylva’s invitation font style is “Artistic” for the main text and “Trajan” font style for their names on the main invitation. 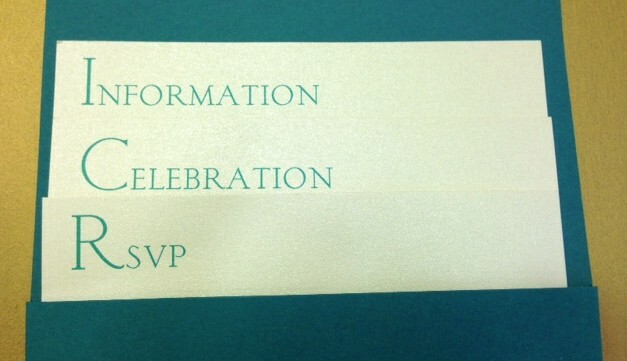 The printing style on the invitation is flat printing. Our Armenian-American couple wanted to have a traditional Armenian Wedding in San Francisco. Hence they opted to have their wedding ceremony at a local Armenian Church, their wedding reception at the Armenian Church Hall, gourmet Armenian style cuisine and of course Armenian wording to accompany the English wording on their invitations resulting in a traditional yet modern Armenian wedding. 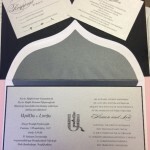 To see or order this invitation online please see our Shop Online Page. 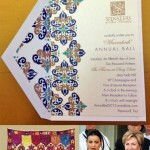 Jacques also addressed the couple’s wedding invitation envelopes with Hyegraph’s Digital Calligraphy. 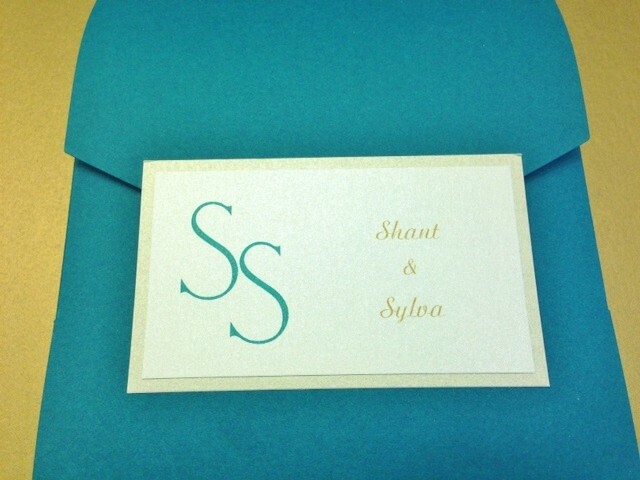 Congratulations Shant & Sylva!